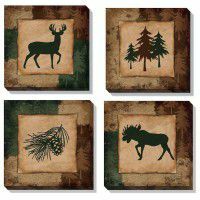 At The Cabin shop our wildlife wall art selections of rustic metal wall art and wall tapestries can add the perfect finishing touch to your cabin décor. 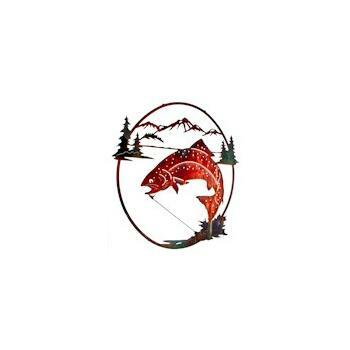 Our metal wall art includes scenes with elk, deer, moose, and other wildlife. It comes in several finishes and is sure to complement any decorating rustic theme. Our collection of wall tapestries is a way to present art work on fabric for a totally different feell. These wall tapestries include colorful wildlife scenes such as elk tapestries, wolf and buck tapestries and our newest addition, pheasants in a field. Most of our rustic wall tapestries have matching pillows and throws to complete the collection.